OAC Services is a Seattle-based architectural design and construction company with expertise in multiple disciplines including forensic architecture, project management, consulting, structural engineering and alternative project delivery. The company is employee-owned with nearly 80 employees at four offices spanning the West Coast. With over 60 years of diverse experience, OAC leverages effective teamwork to execute new construction or building improvement projects ranging from office developments and high-rise apartment complexes to schools and government offices. In 2017, OAC was #2 on Seattle Business Magazine’s list of the best medium-size companies to work at in Washington, receiving outstanding ratings on attributes such as decision-making and communication. Conceiving and executing complex construction projects requires close, frequent collaboration between multiple parties, including clients and government agencies, and demands that design and engineering team members maintain an active presence on project sites across the US and worldwide. As a result, travel burdens can be substantial. OAC depends on effective real-time communications between its office-based personnel and partners and clients. Accordingly, the company is constantly on the lookout for new strategies and technologies that support productive, cost-effective teamwork. So, when Shawn Mahoney, OAC’s managing principal, encountered the Beam robotic telepresence system at a trade show several years ago, he was immediately struck by its potential to reduce travel time and costs, while allowing remote team members to be “so interactive and so present.” After evaluating competing technologies, Mahoney decided to purchase three Beams for the company, placing them in its three Washington offices. The payoff from client adoption of the technology is substantial. 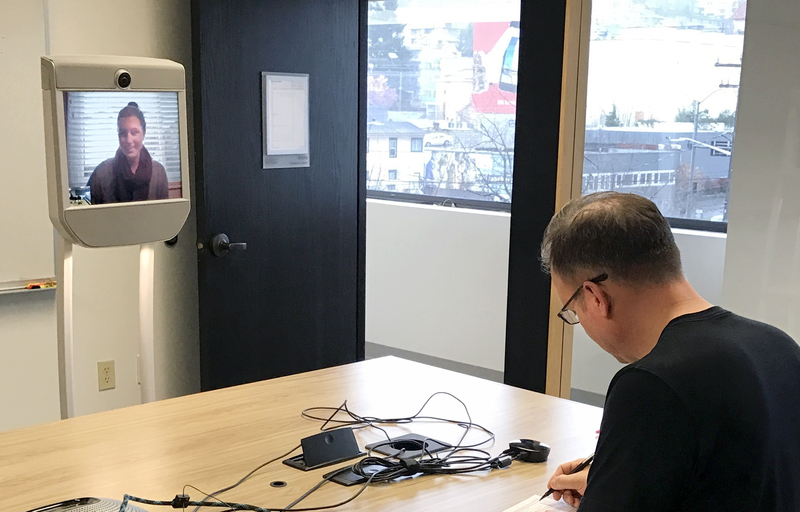 Beam’s advanced mobility and video conferencing capabilities allow OAC staff to engage remote clients in dynamic, face-to-face conversations, streamlining essential activities ranging from reviews to strategy sessions to whiteboard discussions. “[Beam] has simplified my work with clients,” Mahoney concludes. Given the highly competitive nature of its business, OAC must consistently prove its value to prospective and existing clients. 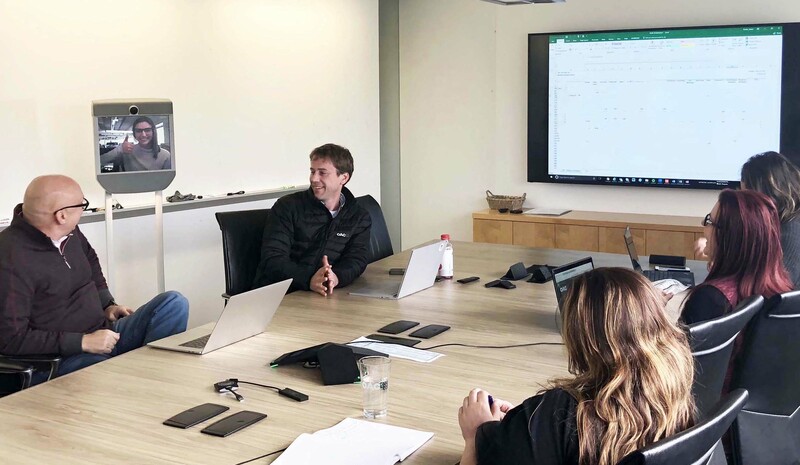 Adoption of a transformative technology such as Beam demonstrates the company’s willingness to “go above and beyond to make communication a priority,” as well as its commitment to incorporating proven technology into its everyday operations.